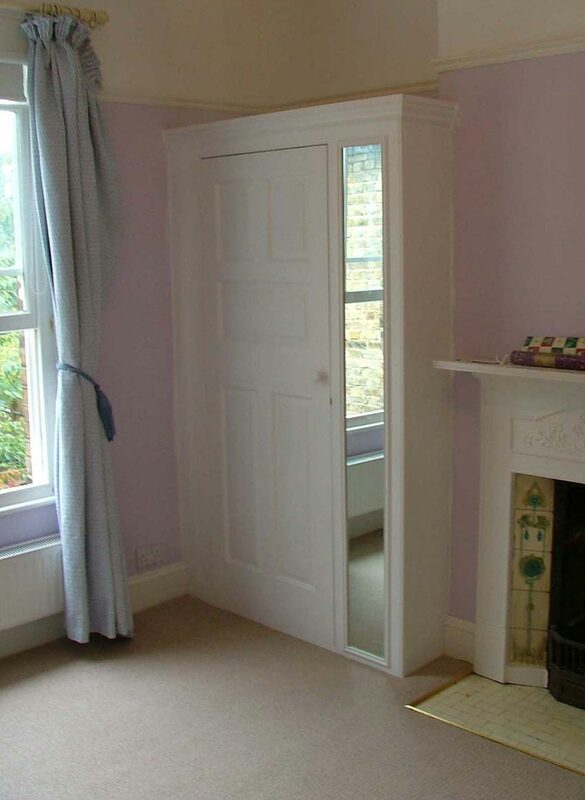 Made to exactly copy another wardrobe in the adjacent alcove, but in mirror image. As is often the case, these old wardrobes are of insufficient depth to hang clothes, so the original was removed from the wall and brought out into the room, with a new side panel fitted to increase the internal depth. The new mirror image piece was then made to match.